Earlier this week, Vblank Entertainment announced that it has published Drinkbox Studios’ Guacamelee! Super Turbo Championship edition on a limited print run of 3,800 copies for the PlayStation 4. It is currently available on the Vblank Entertainment Shopify website for $29.99, and comes with a digital code to download the game on Steam. Carlos Calaca has kidnapped El Presidente’s Daughter, and he plans to sacrifice her in order to merge the World of the Living with the World of the Dead. Juan Aguacate, an agave farmer who stumbles upon a Legendary Luchador mask, must find the strength and courage to become the Hero he’s always dreamed of being and put a stop to this. Guacamelee! STCE builds upon the classic open-world Metroid-vania style of games, by adding a strong melee combat component, a new dimension switching mechanic, and cooperative same-screen multiplayer for the entire story. 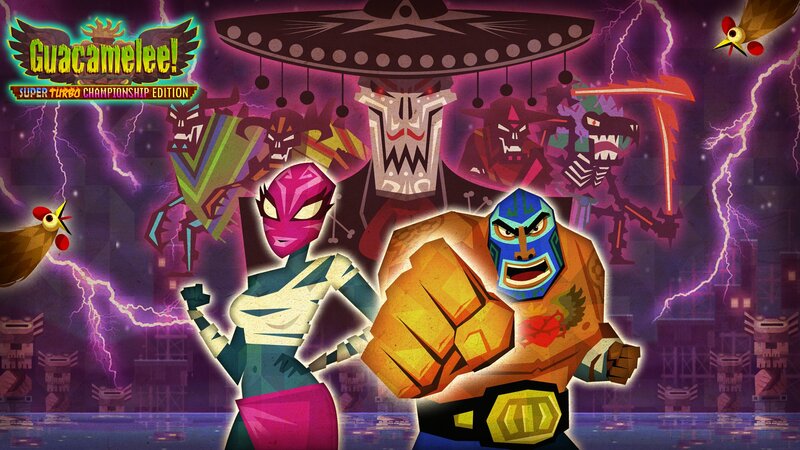 Travel through a mystical and mysterious Mexican world as a Luchador using the power of your two fists to battle Carlos Calaca’s army of evil. Uncover hidden wrestling techniques like the Rooster Uppercut, Intenso turbo-combat mode and Dimension Swap to open new areas and secrets. The physical edition will be region free and can be shipped worldwide. While the game is limited to 3,800 units, at the time of writing, only around 1,000 units remain. Stay tuned for more news here on Gaming Trend.